Throughout this course you will receive extensive training in the preparation, deployment and maintenance of oceanographic instrumentation. Much of this training will be aboard one of our research vessels, Falcon Spirit or Wavedancer, and will help you develop your independence when working in the field. 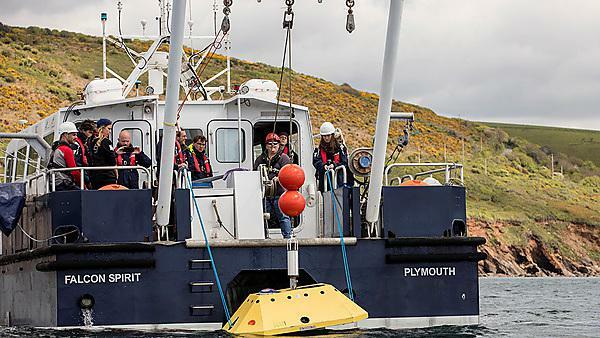 The culmination of your field-based training will be during the ‘Researching the Marine Environment’ module at the end of the second year during which you will be based at the Marine Station for a month. You’ll be taught everything you need to conduct scientific surveys using industry-standard equipment entirely on your own. In addition to learning how the equipment works, you will be trained to prepare and program it ready for data acquisition before actually going to sea to deploy it. You will then recover the equipment and the data collected before processing and analysing it using scientific software. Not only will this experience stand you in good stead for the residential field weeks during the following semester and your research project, but it will also be an invaluable capability when it comes to finding employment after your degree. 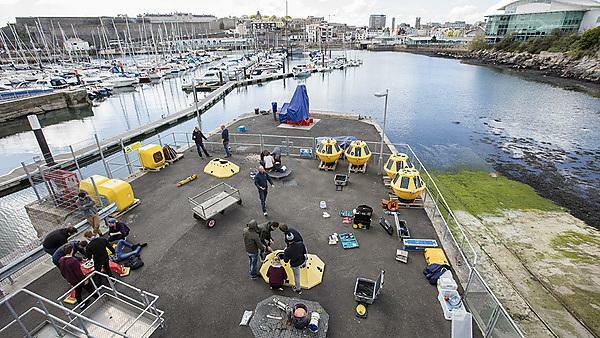 A key element of this is a collaborative training session with Nortek, leading developers of acoustic current meters, who visit for two days.